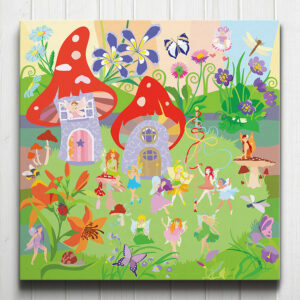 Art adventure stock a magical range of Fairy Art for fairytale loving little girls. 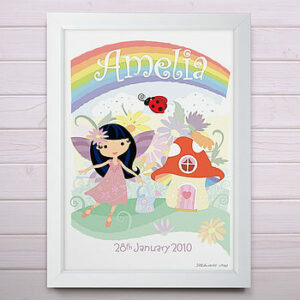 Our exclusive prints and canvases are available in a selection of sizes. 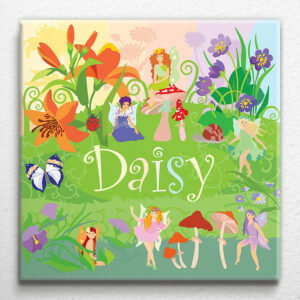 They make a perfect addition to your fairy themed girls bedroom or nursery. 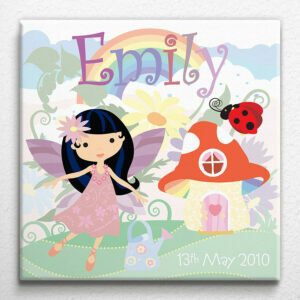 Girls will love to see their name on the wall and our personalised Fairy Art designs make a truly unique gift. 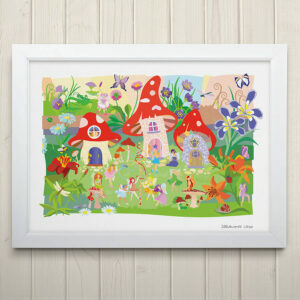 Each piece of fairytale art is professionally printed in our studio to order. If you need something in a hurry or have any bespoke special requests, please get in touch and we’ll see if we can help.